Am I Eligible For Cosmetic Dentistry? Forming an attractive and aesthetically pleasing smile has never been easier. Dental procedures and teeth whitening prices have made a white smiles mainstream. However, teeth whitening cost is usually not covered even by the best dental health plans. Usually full coverage dental insurance will help cover the things that make your smile healthy and long-lasting, not elected procedures that make you look like George Clooney. If you have private individual dental insurance, there is a slight chance that cosmetics will be included in your coverage, but you will know about it because you will have opted-in for cosmetic insurance. The good news is that our dental practice offers affordable dental to help pay for professional teeth whitening and to cover porcelain veneers cost in addition to Lumineers cost. Not only will you have to consider insurance coverage, but before taking your smile to the next step and making it more attractive, you will have to attain a basic level of good oral health. Before being a good candidate for cosmetics, we will conduct an oral evaluation to ensure that your gum health is in good condition and that no restorative or preventive care need to be taken. We have had potential clients come into our office seeking teeth whitening, only to find that they were an ideal candidate for wisdom teeth removal, or another preventive and restorative procedure. If it has been a lot of time since your last appointment and your teeth have accumulated some plaque, this might cause your teeth to lose some of that brilliant white shade that you are looking for. Therefore a routine teeth cleaning might be a better solution than whitening the teeth themselves. You can also consider a teeth whitener in the form of a take-home kit. These kids can be purchased over-the-counter at a pharmacy, or online via Amazon or other similar locations. There can sometimes be side effects of harsh agents affecting the gums or the whitening providing undesired results. 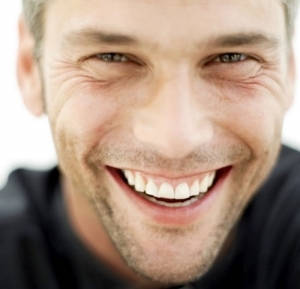 There is no better indication of our experience than showing before and after pictures of our patients’ smiles. In our office, at your free consultation for cosmetic dentistry, we will be happy to show dozens of cases where our patients have experienced dramatic results. Dental veneers are great solution for our patients who are little older in age and have experienced many dental treatments over the years. Because veneers is also considered cosmetic dentistry, they’re largely uncovered by insurance providers. For a free consultation regarding your overall oral health and cosmetic dental works, we have placed an appointment request form on our “About Us” page that allows you to reach out to us. We will response your inquiry as soon as our schedule allows.